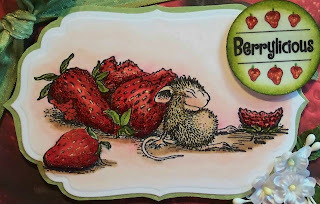 Time for a new challenge at House Mouse and Friends Monday Challenge. We would like to thank everyone who entered a card in our last challenge, the ATC challenge. Seems it made a lot of us think outside of the box, but everyone seemed to enjoy it once they got into it! For our theme this time, chosen by our talented teammate Lorraine, she wants us to get Fruity. So anything that involves the mice, gruffies or Happy Hoppers and something fruity is what we are looking for. Check out the DT samples for inspiration, there are some beautiful cards. We have two guest design team members for the month of August, Rosey and Gemma. We are sponsored by K & K Designs and the prize is 3 stamp sets. So ink up those stamps and join us for our Lets Get Fruity Challenge. We can't wait to see what you come up with. Absolutely gorgeous Sue!!! Your coloring is perfection. Love the strawberry DP and that bow. Awesome design too! Sue, this is SO BEAUTIFUL! Your coloring is amazing and the designer paper is just perfect. This card made me say WOW as soon as I saw it. Wonderful! Thanks for letting me join the team again, and have a great week! Oh Sue! That's seriously! gorgeous coloring! WOW!!!!!! Amazing attention to detail. Love our work GF! Oh I love your card, your mouse is totally adorable with that stuffed tummy:). Fabulous colouring, love the die cuts and bow. Super!! 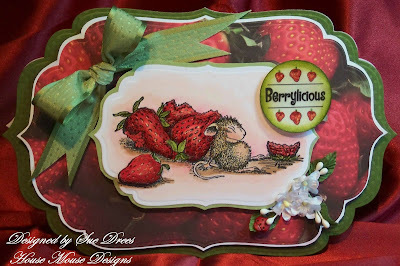 Oh Sue...I absolutely love your card this week...the special shape is a perfect fit for them thar strawberries LOL!!! oooo yummie yummie yummie, this is gorgeous sue. 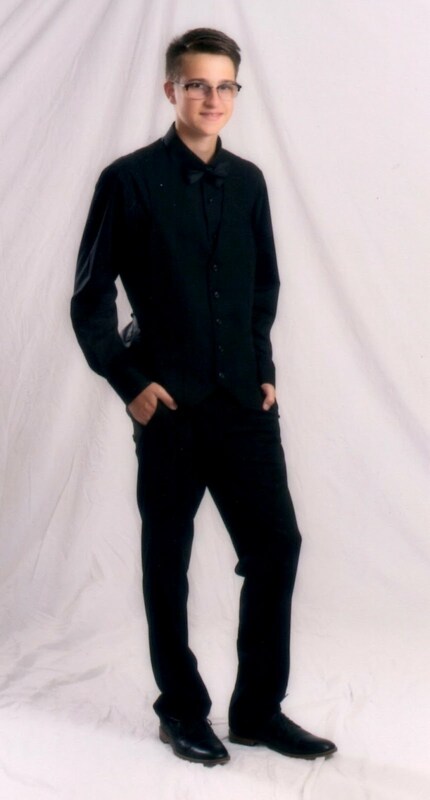 Hi Sue, just a quick hello and for you love and support I needed for you!! Your card is gorgeous image and the papers is must perfect. Oh my goodness this is darling. I love the strawberries! Speaking of which, look at that strawberry paper-how cool is that. Great card style too! fantastic backgroundpaper to this image. I search for this, but I never find it. hello Sue, this is beautiful. great stamp, this mouse picture. I absolutely LOVE this card!!! Great colours and the strawberry-paper is fantastic! I´m inspired!